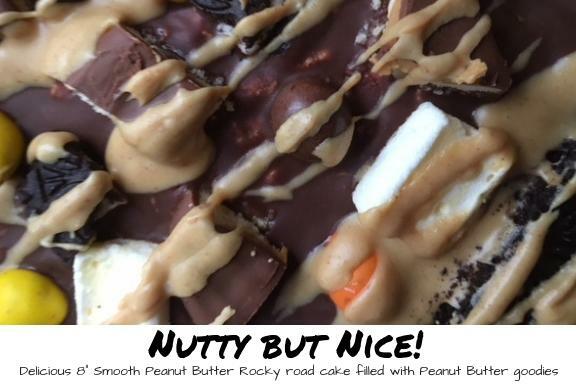 Peanut Butter Rocky Road cake - Perfect for any peanut butter lover. 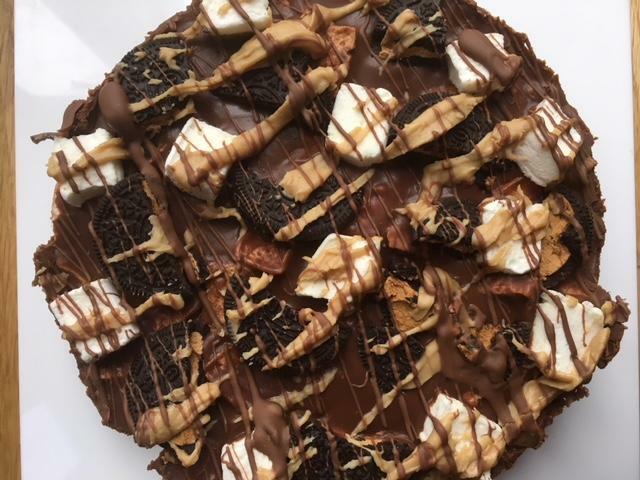 Full of chocolate, biscuits, homemade peanut butter marshmallows and topped with Oreo biscuits, Reece's Rounds, Peanut M&M's, more marshmallows and even more peanut butter! Milk Chocolate, Dark Chocolate, Butter, Golden Syrup, Peanut Butter Marshmallows, Biscuits, Peanut Butter Oreos, Peanut Butter, Reeces Rounds, Peanut M&M's.